Trooper Lord was born in Weymouth, Massachusetts on December 10, 1951. He was a 1971 graduate of Pittsburg High School and while there he was one of the first cadets for the Cadet Program of the New Hampshire State Police. Trooper Lord was a deputy fire warden and a member of the Pittsburg Ambulance Corp. He served as the Pittsburg, New Hampshire, police chief from 1975 – 1987 before becoming employed with the New Hampshire Department of Safety, Bureau of Enforcement. 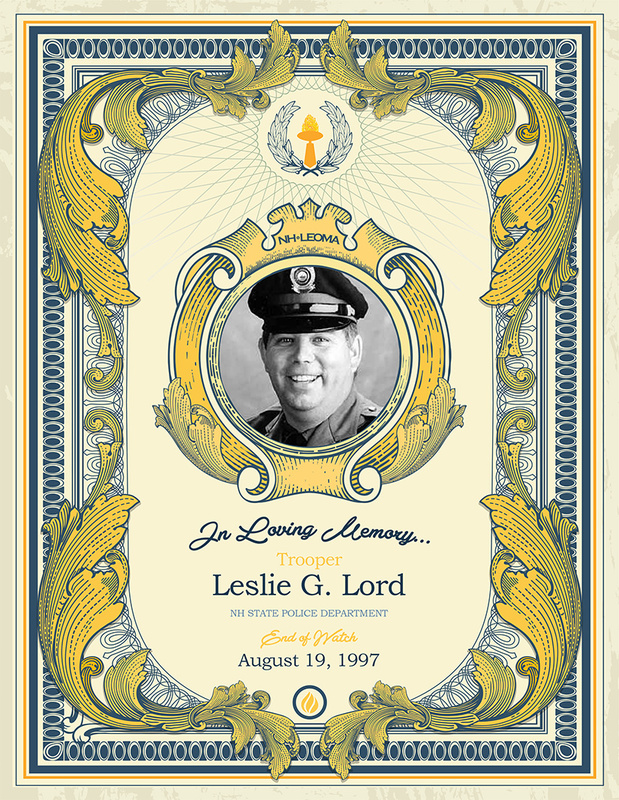 When that agency merged with the New Hampshire State Police in 1996, Lord became a Trooper. On August 19, 1997 Trooper Scott Phillips stopped a vehicle in Colebrook driven by Carl Drega. During the stop, Drega got out of his vehicle and shot Trooper Phillips. When Trooper Lord arrived at the scene to assist Trooper Phillips, Drega shot him to death before he could exit his cruiser. He was 45 years old. He is survived by his wife, Beverly, and his two sons Corey and Shawn.